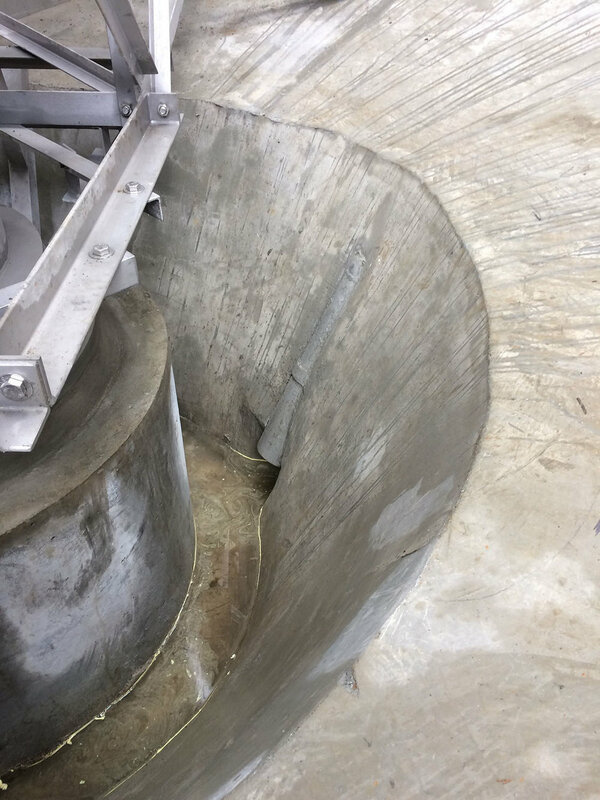 HydroScience provided evaluation options for restoring and rehabilitating the existing gravity thickener system at the City of San Mateo Wastewater Treatment Plant. Primary project objectives included replacing the existing 4-inch sludge withdrawal lines which were susceptible to frequent clogging, and replacing the thickener mechanisms which had reached the end of their useful lives. HydroScience performed a condition assessment on the existing gravity thickener system which included the sludge withdrawal line, thickener mechanisms, pump room layout, tank configuration, splitter box, concrete, and grating. HydroScience developed innovative recommendations which involved replacing the sludge withdrawal line from inside the tank instead of under it to avoid a potentially high-cost and high-risk excavation under the tank, assessing the process as a whole to determine that the scum pumps could be eliminated from the system to save costs and reduce the maintenance workload, and replacing the high risk splitter box configuration with new piping and valves to safely isolate flows to the thickeners. HydroScience then prepared final recommendations and preliminary cost estimates to rehabilitate the entire gravity thickener system. HydroScience proceeded with final design, which included using concrete fill to convert the tanks from a square to circular configuration, recoating the effluent wells, demolition of unused piping and equipment, and miscellaneous repairs to concrete structures, pavement, and grating. The design also involved significant electrical improvements, consisting of the installation of new MCCs, demolition of existing MCCs, field investigations of current power conditions, relocating loads to the new MCC and other existing MCCs as needed to meet load capacities, completion of a power monitoring study, and extensive coordination with the Plant Control System project. HydroScience met with City engineering and operations staff numerous times to specifically develop design solutions to meet their specific needs and reduce costs.